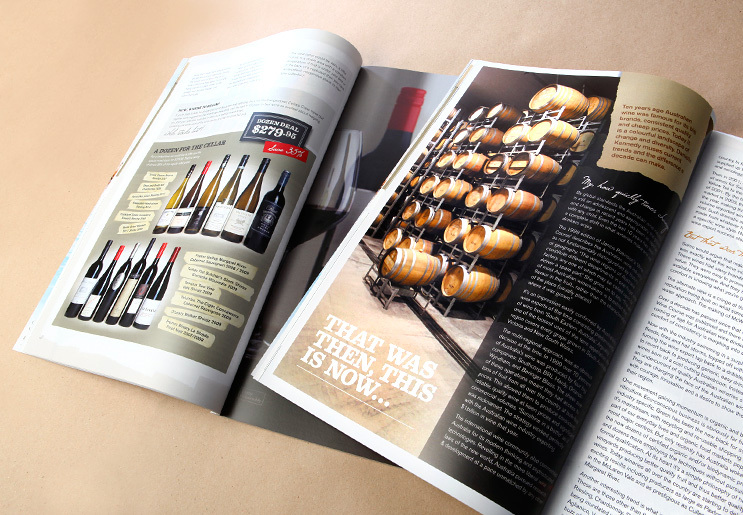 Wine Catalogue Design | Emedia Creative | Get on online quote now! 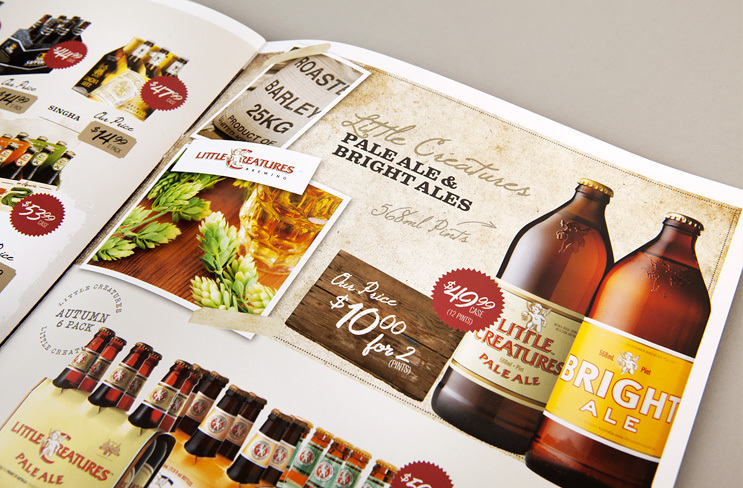 Camperdown Cellars have partnered with us for over 10 years to create their seasonal product catalogues. Our long-standing relationship is mainly due to the effectiveness of the catalogues at increasing sales in store… but it also helps to have won numerous Catalogue Association Awards for these over the years. 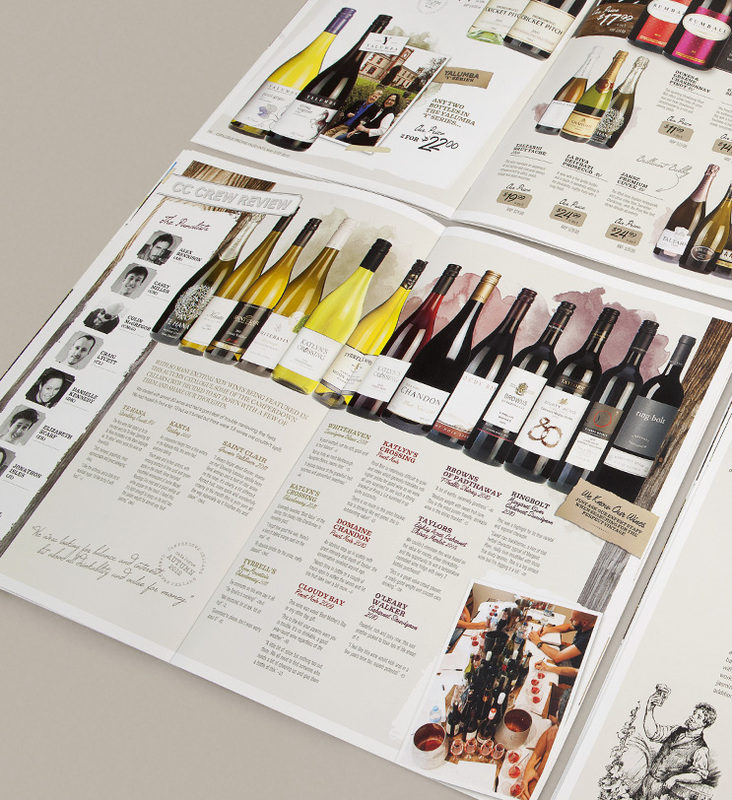 As a boutique retail chain, our catalogue designs appeal to foodies and wine connoisseurs alike, while remaining accessible to the locals. 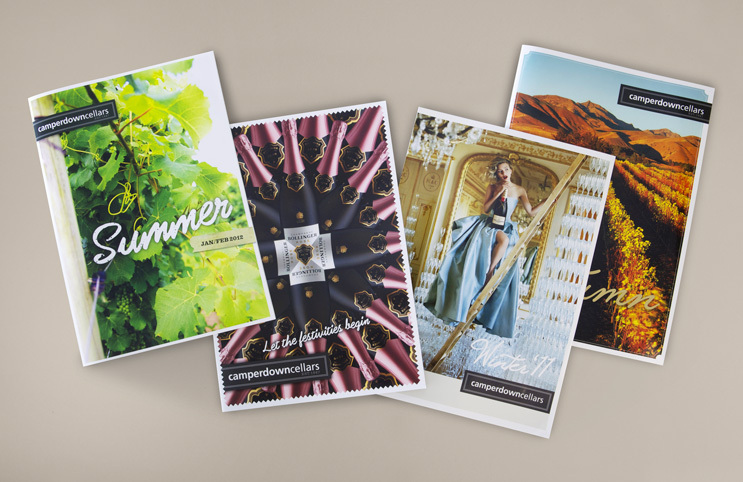 Warm textures, fused with hand-scripted fonts, elegant pull-outs and a feature wine of the month, have made the catalogues a pleasure to read, contrasting with competitors throwaway junk mail.